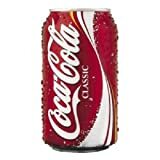 Coca Cola Classic is the world's most popular caffeinated soft drink and it is made by the Coca Cola Company, one of the largest companies in the world. Coca Cola also has some flavor variations with some having higher caffeine amounts. There are flavor variations of the above sub-brands as well. 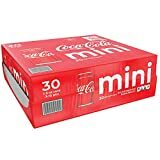 Coca Cola Classic also comes in multiple size cans and bottles. You can customize the caffeine amount for your prefered size above. 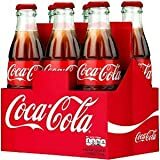 Coca Cola could be considered the earliest "energy drink" - although not marketed as such - it was one of the first carbonated drinks to contain caffeine. The drink was first made in 1886 - where it supposedly had a very small level of cocaine in it - due to the extract of coca leaf being an ingredient. However, given that the formula has always remained secret - this may simply be an embellishment. The Diet Coke range actually contains about 32% more caffeine than the standard coke formula. Coca-Cola Blak had the highest amount of caffeine of any coca-cola drink, but has since been discontinued. What exactly is in those "flavors" is a closely guarded secret - called "Merchandise 7X". 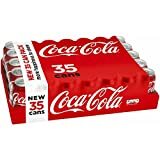 Coca-Cola Classic contains 2.83 mgs of caffeine per fluid ounce (9.58mg/100 ml).